For working with audio, we have two tools at hand to assess what is going on: hearing and measurement. I already posted an article about the blessings and curses of audio measurement, to increase awareness about what we can and cannot achieve with it, and about the several traps installed along the way. And necessarily there must be a complementary post that deals with the even more important tool we use: our hearing. You might have noticed from the previous post that I’m a big fan of measurement. The reason is simple: it’s the most objective tool available and it’s easier to separate different aspects of what is to be assessed. But as you know, in the end the final judge is the ear and the brain. However, we need to be aware of how it works to avoid misconceptions and to make the right conclusions, just as is the case with measurement. The ear, its nerves and the processing of the auditory system in the brain is a highly optimized signal processing facility, built and refined through evolution. The whole system does an incredible amount of processing to extract every piece of information it can get from a sound. This fascinating topic is near endless, and I’ll write about it a lot in the future here on The Science of Sound. But today, we’ll do a quick overview just like we did the last time by first looking at 4 blessings of human hearing. The evolution of the auditory system has lead to a highly efficient setup. The acoustic properties of the outer ear and ear canal, the mechanical properties of the middle and inner ears and the nervous system around it are tightly matched to achieve the best possible performance. For example, the often quoted extra sensitivity of the ears for the cry of a baby is built right into the geometry of the ear canal. The complex system of the tympanic membrane and the inner ear bones optimally adapts the acoustic impedance of air to that of the liquids filling the cochlea, even providing an overload protection along the way. And there’s a lot more! There are several subsystems especially in the first stages of neural processing that perform preprocessing tasks. From analyzing time and level differences between the ears for source localization to modulation frequency analysis for pitch assessment. All this to generate a wide set of information that is fed to the great pattern recognition apparatus in our head. It happens in an instant, without you even noticing it. You don’t need to think about where a sound came from and whose voice you hear, you immediately feel and know it. Due to the nonlinear nature of some parts of the auditory system, it is even able to violate the Fourier uncertainty principle which applies to linear signal analysis. The essence of it is the tradeoff between time and frequency resolution. To increase the precision with which a pitch can be analyzed, you need to sacrifice time resolution, thus losing precision when it comes to determining the duration of the sound. Human hearing can go beyond the theoretical boundaries resulting from this tradeoff. At last, the ears are the ultimate medium that translates music and speech into emotions, associations and memories. And that is the most important feature of them all, in fact it’s the only actual reason for the existence of music. The abstract experience of listening to music can hardly be described by just an analysis of pitch, rhythm or frequency spectrum. But that won’t stop us from trying, right? After all this praise, we shouldn’t forget that especially the abstract and emotional way in which the ears and our brains process sound can lead to a couple of problems. Let’s face it and look at 4 curses of human hearing. The greatest blessing is also the greatest curse. We always experience music and sound in a very subjective way, that is also highly dependent on current mood, past experiences and all the other sensory input that happens at the same time. An often quoted experiment by Patsouras et. al. showed that the sound of a train passing by is likely perceived louder when it is presented along with a picture of a red train, compared to when the train is blue or green. Ruling out such subjectivities is the number one obstacle when trying to find out why a specific sound or a specific kind of processing has the subjective impact that we perceive. For the very same reason, listening to the same piece of music can be a totally different experience for each individual. If we want to find consistent rules or suggestions for making sound and music, we need to be aware of the fact that we cannot simply generalize our own experience to every other listener. For general rules, we need to look at the perception of a broad range of individuals. But by averaging the vast amount of different experiences, the actual information can become diffuse and imprecise. This is also due to the subjectivity and interaction with other sensory input. We all know the dreaded placebo effect, and I’m sure we all more than once mistakenly betrayed ourselves. 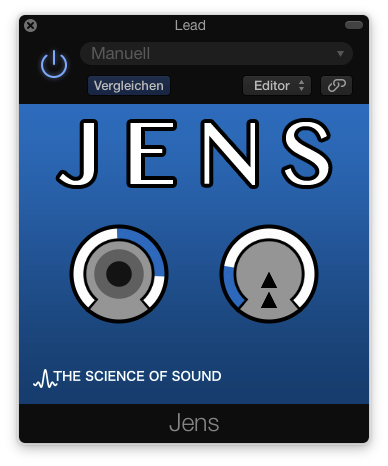 For example fine tuning EQ settings and clearly hearing the difference, but later finding out that the EQ was bypassed all the time. You can actively exploit this effect by just tweaking some random knob in a muted channel the next time the drummer wants the kick a bit louder. „Better?“ – „Yeah that’s better!“. In fact there is a whole industry specialized in exploiting the placebo effect to sell insanely expensive power cables, crystals or even fuses by suggesting you should really hear the totally obvious difference that makes. Nobody likes to admit having wooden ears, right? You know this, but it can’t be stressed enough. 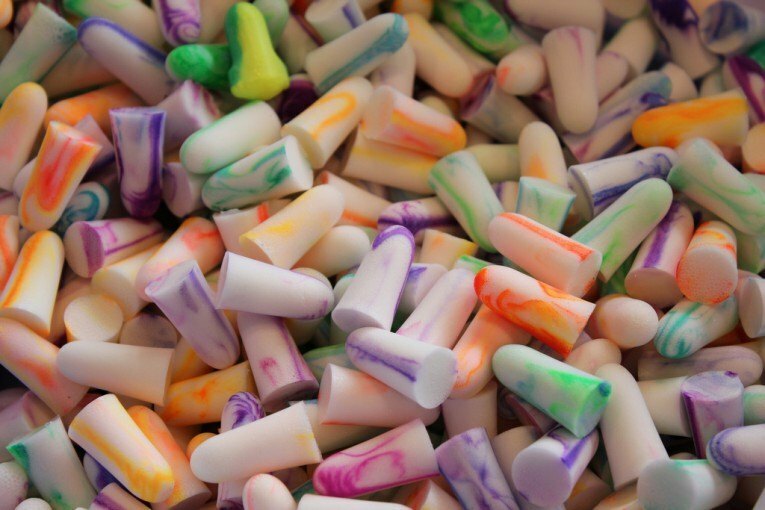 Exposure to loud environments will damage your ears, sooner or later. It’s mostly a slow process where you won’t immediately notice the effect, but it will get you sooner or later. So protect your most valuable tools! Additional to the permanent damage that adds up over time, prolonged concentrated listening will also temporarily degrade your ear’s performance in short term. Don’t make critical mix decisions after a 4 hour session! You’ll have to start from scratch the next morning anyway. The blessings and curses outlined above only scratch the surface for now, as each topic deserves at least one book of its own. 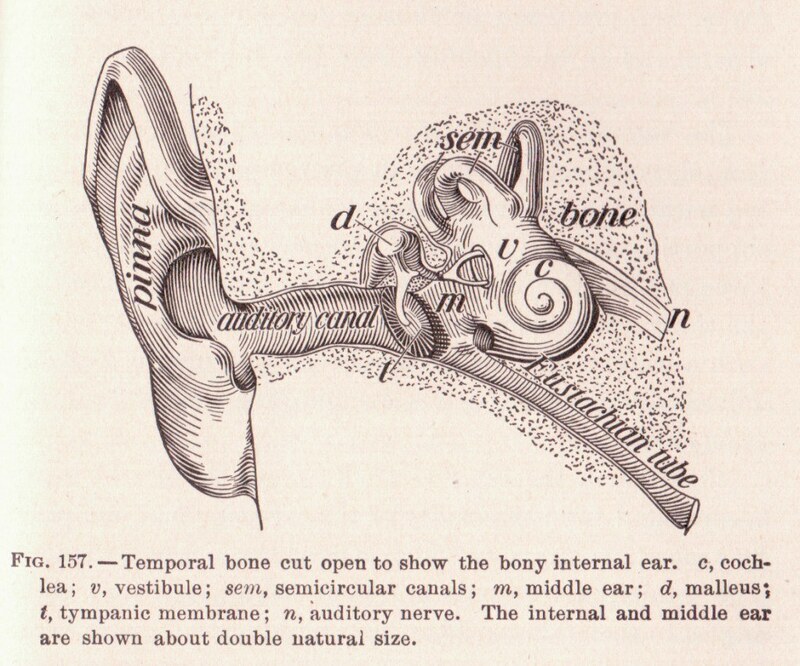 It’s an overview to wet your appetite for the fascinating stuff to learn about human hearing. The journey will continue here on The Science of Sound! How well do you know your ears? Have you engaged with the science of human hearing before? Discuss in the comments!